*This post contains affiliate links. This means if you click through and give the product a whirl, they give me a tiny monetary high five for sharing the good news. And dude! I don't blame them. Chocolate? Sugar? I earned this giant caboose the natural way, y'all. I can relate to your now candy-powered Tasmanian devil child. But what are the odds that stray bits of plastic grass went flying during the Cookie Monster recreation? Where did they land? In the grass? Where some squirrel or bird will get tangled up in it? Or eat it by mistake? Or will it break down into microplastics in a country that already has microplastics in 94% of the tap water? If it's inside, you're going to be cleaning that up and hoping people aren't tracking it outside before you can stuff it in the trashcan. No one saves old Easter grass, let's get real. It gets dusty and weird and gross, and frankly it's not all that great looking to start with, so just please please please don't use it. DON'T FRET! I've got your 5 Minute DIY Eco-friendly Easter Grass tutorial. Does it really take 5 minutes? It absolutely does, but you can also get a little extra with the whole thing, and it can take up to 20-25. OR you can really get crafty and make your own recycled paper using Elana Bloom's tutorial over at Salvage & Stitch, and incur suburban competitive-mom side-eye from your neighbor for the next decade. Totally up to you! 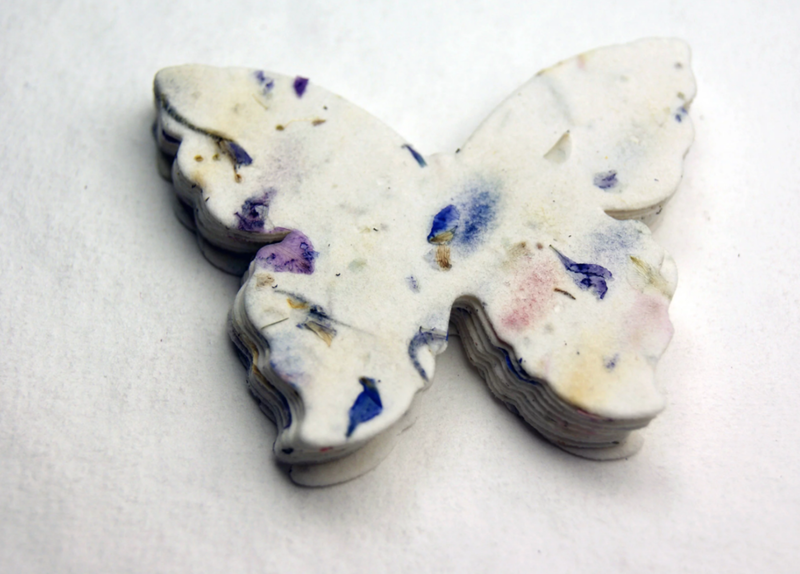 Recycled Fiber Butterfly Confetti* OR sheets of wildflower seed paper OR make your own paper cause you're extra like that or omit this ingredient completely. You do you. 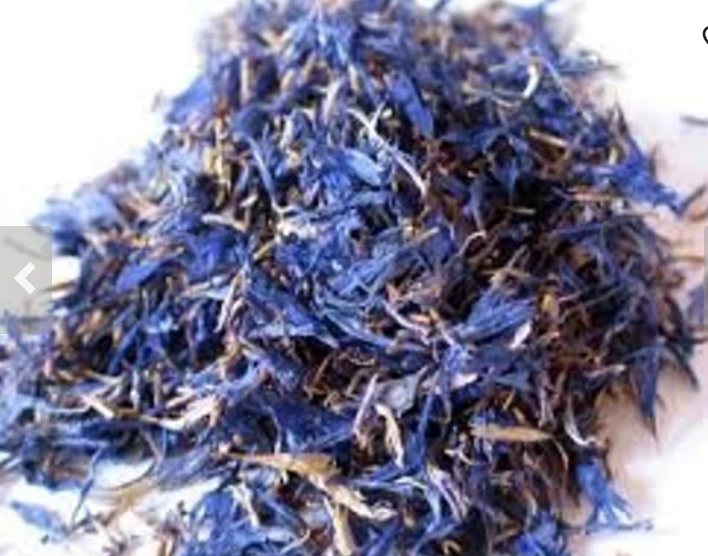 While flowers are drying, run decorative paper or tissue paper through the shredder. If using tissue paper, you may want to fold into fourths and feed through lengthwise to create thickness. Crinkle shredded paper by wadding with fingers, arrange in basket as desired. Sprinkle wildflower seed paper confetti onto shredded paper. (Larger confetti will not fall to the bottom and be lost.) Alternately, cut strips of seed paper and snip into decorative triangles, or use decorative hole punch to create your own confetti. Add any gifts to basket. How pretty is this stuff?! You can customize it with the recipients favorite colors, shapes, or flowers, too. I would LOVE to receive packaging like this, personally, and I hope my mom is reading this and getting inspired for our Easter baskets! And as a final note, how easy was this to make? Remember that cutting out plastic and reducing the plastic in our lives can be a fun, inspiring, and easy process, and a fun way to introduce creativity into the lives of children. Want even more eco-friendly Easter basket inspiration? Check out this eco-friendly Easter guide over at Sunshine Guerrilla! I hope everyone has a wonderful Easter if you celebrate it, and if not, I hope you have a wonderful spring Sunday filled with flowers. Dried OR fresh!